Orange and chocolate is one of the best mix! Press the orange to get the juice but you also need to grape the skin to get the zest. In a bowl, mix the butter and the sugar together. Add the egg and then gradually the baking powder and the flour. 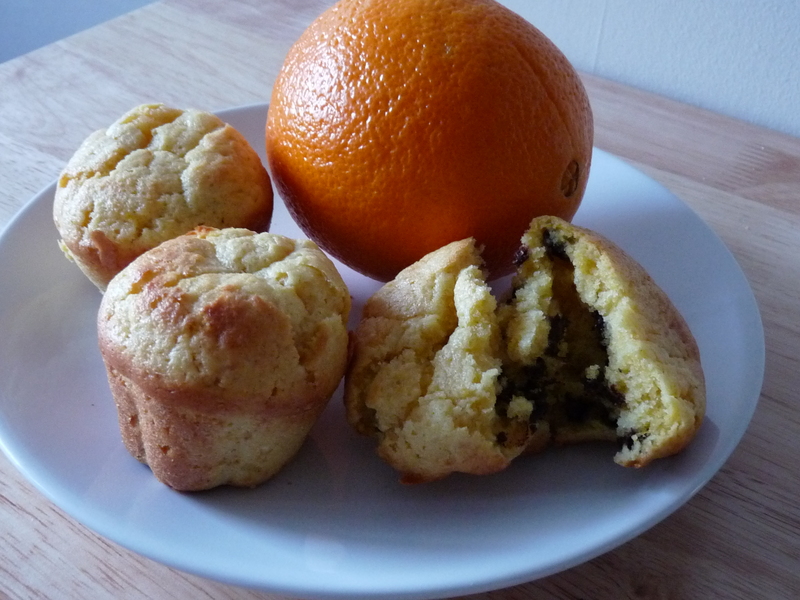 If you really want to give these muffins a strong orange flavour, I advise to put one teaspoon of orange extract. I didn’t put in mine because I prefer to keep the flavour subtil. Once combined add the orange juice and the zest and then finish by adding the chocolate chips. Bake for 25 minutes or until they are brown.